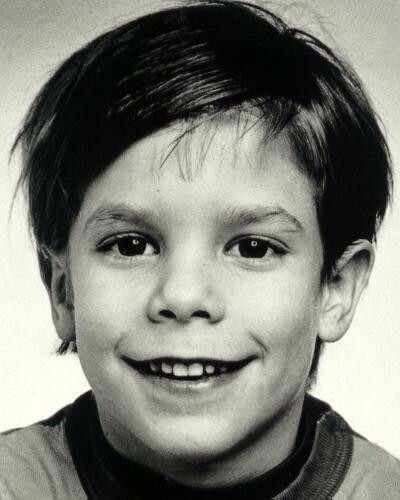 Etan Patz, a 6 1/2 year-old NYC boy, left his apartment one morning in 1979 and was never seen again. The news broke Thursday the 19th. New York police started searching the basement of an apartment that could have the buried body of Etan Patz: a 6 ½ year-old boy missing since 1979. The building was located on Prince St, the same street as the Patz family’s apartment. People who never knew the story behind this asked “Who is Etan Patz?” Those of us who have been around since it all happened either know the story all too well or felt the effects of it over time. Friday May 25, 1979 started like any other day in the United States. By day’s end, there would be two events that would change things forever: the crash of American Airlines Flight 191 just outside of Chicago and the abduction of New York City child Etan Patz. The plane crash would be the deadliest air disaster in US history (outside the 9/11 attacks) for claiming 273 lives and would lead to changes in airline maintenance and would be the beginning of the end of the DC-10 aircraft. The abduction of Etan Patz would soon pave the way for stronger measures and procedures for dealing with missing children and would lead to many of the tougher laws and better, more immediate procedures that exist today. Before Etan Patz, child abductions were not taken that seriously. Most were either thought of as runaways or kids that would eventually find their way home. Kidnapped children were originally thought of as only happening to children of rich parents where the abductor would demand ransom money for the child’s release. Even before Etan’s disappearance, an ugly truth of child abductions that was already happening was about to unravel. It all started that Friday morning. Etan Kalil Patz was a six-and-a-half year-old boy living in lower Manhattan, the middle child of Stanley and Julie Patz. Etan had always walked with his mother to the school bus stop but for months, he was begging to go alone because all of his friends were. He was given that landmark day that Friday. He woke up, got dressed, had breakfast, waved goodbye to his mother and then walk down the Prince St. apartment stairs to the bus stop two blocks away, alone for the first time. He was never seen again. Immediately upon news of his disappearance, the police and media were in a rush. Stories abounded. His face was even shown on the nightly news. Stanley and Julie Patz soon became media figures. Etan’s story would become the hottest child kidnapping story since the Lindbergh Baby. Never before was the press and the police so immediate over a child kidnapping. Nevertheless stories would arise how some child kidnappings in the years before Etan, and some in the years after Etan, were not so lucky to receive prompt action from authorities or the press. The lack of resources and coordination between law enforcement and other government agencies left many parents of missing children frustrated. Even Julie Patz made mention in an interview two years after Etan’s disappearance that there were many children’s’ bodies in morgues being left unidentified. Soon more news about child abductions came to the surface. There was the 1981 abduction of Florida six year-old Adam Walsh who’s severed head was found two weeks later. There were Oklahoma 13 year-olds Charlotte Kinsey and Cinda Pallett assigned to do a carnival job overnight in 1981 and never heard from. There was 12 year-old Iowa boy John Gosch who left home for his paper route in 1982 and was never seen again. Further names came about: 12 year-old Ann Gotlib from Kentucky, 14 year-old Elizabeth Ann Miller from Colorado, 16 year-old Maurice Jefferson from Florida, 9 year-old Taj Narbonne from Massachusetts, the list is endless. Better actions had to be done. The subject of missing children soon became unavoidable. Each state had their own missing child cases to deal with. It even hit internationally in Canada and other countries. Over time, the subject of missing children would soon be a hot topic and better laws were enacted both in states and nationwide. In 1983, May 25th–the date of Etan’s disappearance–would be declared National Missing Children’s Day. The faces and descriptions of missing children would soon appear on milk cartons. Etan was the first. The FBI and various state police departments passed tougher laws and adopted better faster actions towards dealing with missing children. The National Center for Missing And Exploited Children was formed by the American Congress in 1984. Posters of missing children appeared at bus stations, border crossings and police stations. Local police would visit schools and teach children of the danger of strangers. Some would even give fingerprinting. Child identification programs that included fingerprinting and child identification files started up nationwide. Finally a problem that had been long ignored got its long overdue improvements and changes in procedures. One thing about is his disappearance is that it sure has changed childhood and sure has changed parenting. With it came the loss of the essence of childhood. Parents were confronted with the fact they could no longer afford to give their children the carefree childhood they felt they deserved. They felt the need to hold on to their children tighter. Many newspaper writers have written editorials about how Etan Patz’s abduction changed everything. Before his abduction, monsters were seen by children as something of their imagination. Since the Patz abduction, today’s children know monsters exist in real life. Parenting has also changed. It makes it a lot harder for a parent to let go of their child, knowing that so many children go missing. You can guarantee that ever since Etan went missing, a child will have to wait longer than 6 ½ to walk alone to the school bus. A dark truth could no longer be avoided right there and then and remains unignorable today, especially with pedophiles now able to use the internet to lure kids. You can guarantee that in the years since Etan’s abduction, missing children has been taken seriously and continues to be taken seriously today Authorities are quick to act whenever a child goes missing. Awareness is immediate. Punishments are severe for the abductors. On the downside, it became apparent in the 90’s that potential abductors knew of the stricter measures and tougher precautions that were made against them. That caused many to find new and sneakier ways to abduct children, like the 1993 abduction of 13 year-old Polly Klaas at knifepoint in her own home and 9 year-old Amber Hagerman being yanked off her bike and immediately taken into a car. Those abductions and the finding of their bodies would lead to the creation of the Polly Klaas Foundation, Marc Klaas to lobby for tougher sentences for convicted felons, and the institution of the Amber Alert which alerts people through buses and on radio stations about sudden missing cases. There’s even a recent statistic out that today 99% of abducted children are found alive. Despite all these improvements and changes, it’s all too much too late for many missing children of years and even decades past, like Etan Patz. Despite the strong evidence against Ramos and the subsequent legal actions, the case continues to be unclosed. The fact that no body has been found has prevented a lot of justice from being done and the decades-old mystery from being solved. In May 25, 2010, the Etan Patz case was reopened by Manhattan District Attorney Cyrus Vance Jr. 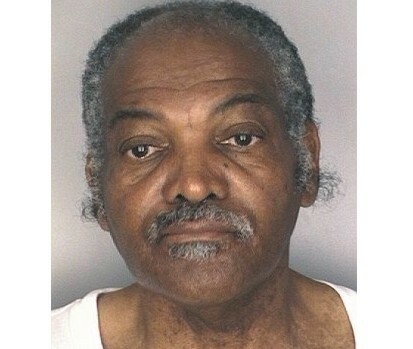 Since then, a second suspect has come to the attention: Othniel Miller. At the time of the Patz disappearance, Miller was a handyman who owned a workshop in a building near the apartment the Patzes resided in. His workshop doubled as a play room for small children. Recent revelations have come to light in recent years: one is from his ex-wife that he raped her 10 year-old niece; another is the fact that a fresh concrete floor was poured in his workshop the year after Etan’s Disappearance; another is Jose Ramos did odd jobs for Miller in the past. Miller is now 75 and has suffered many strokes. He was very cooperative in talking with FBI agents for the past 30 years but denies any involvement with the Patz case. Then a cadaver dog was allowed to sniff in the basement and alerted a clue. There was the potential that Etan could be buried underneath the floor of concrete. Nevertheless cadaver dogs are known to be erroneous and can easily be distracted if they sniff out something as simple as a dinner. 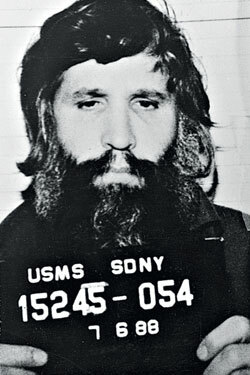 Despite the slim odds, Stanley Patz was content with the search as he believed something is better than nothing. The search began on Thursday the 19th. Concrete was excavated, cut, crushed and even analyzed for any possible forensic detail. There was a stain on the wall that came to the alert as a possible bloodstain. However the search for Etan in that apartment concluded on Sunday. There was not enough evidence. That small stain wouldn’t be enough to prove anything according to the NYPD because it’s quite possible it wasn’t a bloodstain at all. There was no body found underneath the basement floor. Even that claim against Miller is under question as his stepson claims he never raped his 10 year-old niece and would never hurt a child. For the record, Miller was never charged for it. Nevertheless the Etan Patz case remains opened. A mystery like this deserves to be solved. Whether Etan Patz will ever be found or whether case will ever be closed or not is still a big question. There may be new evidence and new investigations anytime in the future. Nevertheless the recent search reminded the public of the importance of this case. It was the missing child case that led to the major changes and tougher procedures in policing and justice that exist today. It was also the case that made parents and children wake up to the potential dangers. It all started that Friday morning in Manhattan 33 years ago. Hard to believe the child whose case started it all has never been found. UPDATE: For May 25th update, Click Here.